How Tony Fernandes and co convinced the former Champions League winner to move to W12 I’ll never know (obviously the suitcase fully of cash helped), but Green found himself relegated to number two after just one pre-season game. But to be fair to Cesar, for the majority of the season he showed why he’d been lauded as one of the games great goalies and even earned his spot as Brazilian number one back. A string of man of the match performances in the first half of the season, meant he actually saved Rangers from being deeper in the mire than they already were. A brilliant shot-stopper, for me he never commanded the box the way a keeper should but that may have been down to the language barrier or the horrible defence he had in front of him for most of the season – Clint Hill, Anton Ferdinand, Ryan Nelsen and Chris Samba to name a few. 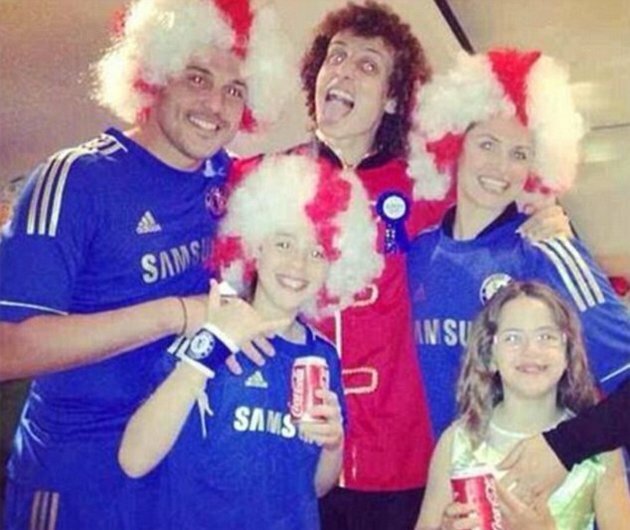 Posing in a Chelsea shirt at David Luiz’s birthday party wasn’t the brightest idea either. This entry was posted in The Samba Series and tagged brazil, harry redknapp, inter milan, julio cesar, mark hughes, qpr, rob green, samba series by The Samba Series. Bookmark the permalink.